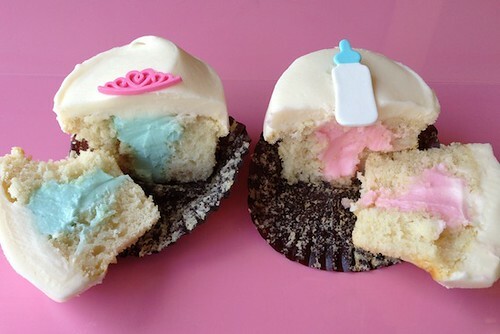 Every Monday through Saturday in July from 9 a.m. to 9 p.m. and Sundays from 10 a.m. to 8 p.m. guests can pick up their choice of gender reveal cupcakes. The cupcakes are either chocolate or vanilla and each treat is topped with a tiara or a baby bottle. Find out the latest on Sprinkles at sprinkles.com and their target="new"Facebook page. Is anyone else making royal baby cupcakes? If so email us at cupcakestakethecake at gmail.com with "Royal baby" in the subject line and photos/details.